The Norman E. Alexander Library of Jewish Studies includes all material relating to Israel and Jewish Studies, and is housed in many different locations on campus. Resources related to History and Humanities are in Butler; Social Sciences are in Lehman, Art and architecture is in Avery, etc. All resources are searchable on CLIO, Columbia Libraries' online catalog. The Hillel is the main center on campus for Jewish Student Life at the undergraduate and graduate levels, and sponsors many interesting academic events relating to Jewish and Israel Studies in addition to its Jewish programming. 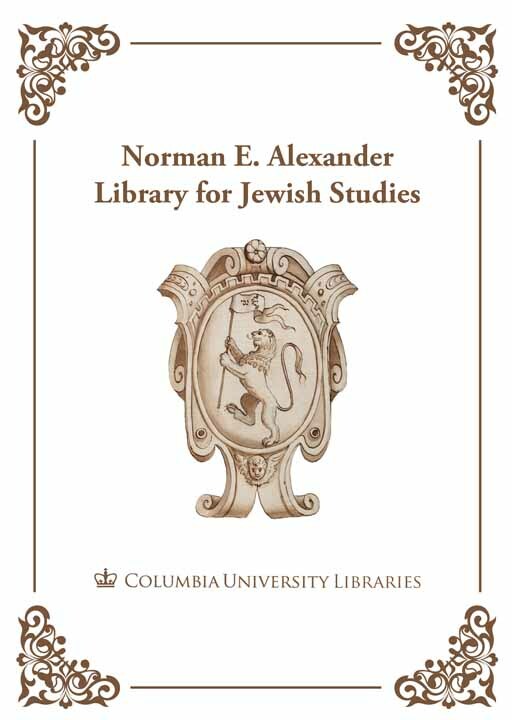 Columbia University's collection of Jewish Studies Resources is an ongoing compilation of bibliographic resources and research materials on Jewish Studies (in the broadest sense) available in print and online. These resources are organized primarily by subject. The scope of the collection is research-oriented, but it also provides access to other websites with different or broader missions. This collection is currently undergoing major construction. Please feel free to contact the Librarian for Jewish Studies with any suggestions and questions regarding the content on these pages.